One quick look through the pages of past issues of AI should tell you that a rather large share of our focus is pointed northwards towards Sweden and Finland (yeah, and Norway too). There's a quality to the music (both progressive and psychedelic) that is hard to find in bands from elsewhere in the world for some reason. Perhaps it's the long winters without sun, perhaps it's the vodka? Whatever be the case, in the last five years I've found my own personal collection of Nordic music to grow from virtually nothing to something quite respectable. And I no longer 'happen' upon them, I seek them out specifically. One of the labels that has emerged to satisfy this growing worldwide interest is Record Heaven, founded c. 1995 and managed by Michael Ivarsson. He characterizes his label as specializing in progressive, symphonic, and hardrock styles, but this really undersells the psychedelic and cosmic aspects of many of the artists. To start, one band that first attracted me to Swedish music was Landberk, normally claimed by the 'prog' crowd as their own, but a band that creates a melancholic mood and rich atmosphere that should please any spacerock fan. Of course, that awe-inspiring device of analog bliss, the Mellotron (please genuflect now) is featured heavily in the mix, but it's really the eerie guitar playing of Reine Fiske that sends chills up my spine. Fiske, like Frank Bornemann but few others, makes the guitar 'sing' in a way that's instantly recognizable and an instant joy to hear. Likewise, the voice of Patrik Helje is full, resonant and always in tune, and nestles in amongst the flavor of the sound almost as an additional lead instrument. "Riktigt Akta" (RHCD1) was the first CD release on the Record Heaven (a reissue of the 1991 recording), a Swedish language version of the debut album (sung in English) released earlier in the States (on Laser's Edge) as "Lonely Land." In these situations, usually whichever one you hear first seems 'normal' and the other 'weird,' but Fiske has an amazing talent to make both the lyrical melodies and the words themselves transfer seamlessly between the two languages. It's hard to say which version I prefer, though I think the mystery of the unfamiliar sounds and Swedish words in "Riktigt Akta" adds to my experience. On either album, it's the song "Pray For Me Now" ("Skogsräet") that is most wondrous though - a journey both soothing and disturbing at once, and always poignant. 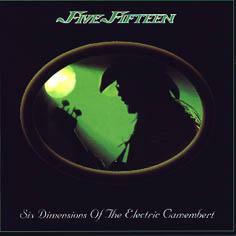 We heard from Five Fifteen themselves in AI#6, when Scott tracked them down in Helsinki to talk about their recent release "Six Dimensions of the Electric Camembert" (RHCD15). Since then, they've issued a four-track EP (21 min.) anchored with the single "I Don't Remember" (RHCDM5), an edited version from the full-length album. I can imagine that this song could be radio-friendly, having touches of Porcupine Tree, Nirvana, and Traffic all rolled into a single potpourri. Marika Liuski's voice is strong and engaging, and the overall fullness of the mix prompts the music to jump out of your speakers and into your lap. Their hometown friends Kingston Wall had this same effect and in fact, KW drummer Sami Kuoppamäki guests here on a rousing live rendition of the Allmans' "Whipping Post." The two previously unreleased studio tracks are also winners. "Springtime of Your Life" ebbs and flows effectively against a downright groovy bassline. "Games of Mary" adds extra layers of guitar from guest Tatu Mannberg (of Silver Surfer) to produce the kind of memorable 'classic rock' riff that is seemingly still big in places like Toronto, Canada (The Tea Party, 13 Engines, TPoH, etc.) even now. The psychedelic part comes when the entire band is squeezed through a phaser of some sort during the bridge section. Kinda short, but still the IDR-EP is another fine sample of intriguing music from Five Fifteen. 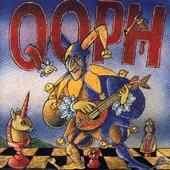 Sweden's Qoph effectively merge crazy psychedelia and progressive songwriting...oh, and they also have a flair for the bizarre. "Vansinnet," the opening piece on 'Kalejdoskopiska Aktiviteter' (RHCD11) has some of the same characteristics as the UK free-festival psych, especially the blaring drone of the guitars and some freaky bits sprinkled on top, but the presence of violin and the Swedish lyrics (you gotta love those rrrrolled r's) change the whole perspective. Bubbly guitar licks and a touch of sax make an appearance in "Ta Farväl", kinda Gong-ish. The three-part "Nadir" is heavier psychedelic rock, and is thickly layered in parts with winding, interwoven melodies. Quite appealing in fact, and something that would seem to be really amazing live. I like this band a lot - they're heavy enough, strange enough, and spacey enough to satisfy my every need. 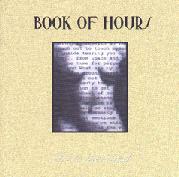 A new band, Sweden's Book of Hours are a strange mix of King Crimson and prog metal, as if your car radio were alternately picking up two different stations playing each of these styles as you traveled amidst rolling hills. On their debut 'Art to the Blind' (RHCD016), drummer Henrik Johansson wrote almost all of the music and the lyrics, which is probably why his drums sound too high in the mix (and awfully 'thumpy') to my ears. What Mr. Johansson should realize is that his guitarist Per Broddesson is truly the star of this band. His solos are often fast and dexterous, but always melodious and interesting. And in the metallized parts, Broddesson is also responsible for crunching riffs. Vocalist Stefan Zell has one of those powerful, resonant voices that makes me believe he could have been an opera singer if so inclined. Through much of the album, I felt slightly confounded as it seemed to me they were trying to be too many bands at once. That probably just means I need a few more listens to settle into what they're all about. The final track "Den trettonde mänaden" (the lone track sung in Swedish), was one that I latched onto right away...simpler, moody, slightly minor....gee, almost like Landberk! 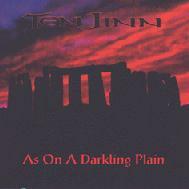 A rare appearance by an American band, Ten Jinn's second release 'As on a Darkling Plain' (RHCD018) takes us in a different direction. The use of Stonehenge on the cover might lead to a particular preconception and the music herein is indeed mythical, but not really 'cosmic' and they seem to prefer the imagery of Anne Rice's vampires anyway. Also, from the opening moment of the eight-part opening title suite, Ten Jinn displays a strong Celtic flavor to their progressive-styled compositions. Often grandiose in consistency, the bulk of the album seems like an attempt to marry Gabriel-era Genesis with Jethro Tull's 'Songs from the Wood.' Although the occasional metallish passage adds a new twist to the equation. But I think the key to anyone's enjoyment of Ten Jinn is the often over-the-top dramaticism of John Paul Strauss' voice. Of course, it adds to the majestic sound of the recording, but I found myself enjoying the second half of the title suite where there were more instrumental passages. The use of harpsichord and other folksy sounds are effective, and Stan Whitaker (Happy the Man) adds some interesting guitar work, but 'As on a Darkling Plain' didn't hold my profound interest throughout the 70 plus minutes. Apart from these individual discs, I also got a taste of four other Record Heaven bands on a sampler CD. 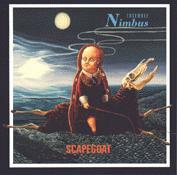 Of these, Ensemble Nimbus is the band that excites me the most. Drummer Hasse Bruniusson is a veteran of Samla Mammas Manna and the Flower Kings (familiar names), but it's the presence of violin and clarinet (!) that make this band interesting from the start. Plus, the bassline on "Trial of Error" from 'Scapegoat' (RHCD12) is damn near krautrock. And so when they switch gears mid-song and start up the circus music (I imagined elephants slowly marching), I am reminded of Amon Düül II ('Vive la Trance' period) and Nektar's 'Down to Earth' (of course). This is a band to look out for. Also, I see that EN guitarist Håkan Almkvist has also released a solo CD (under the moniker Orient Squeezers) entitled 'Sadhu' (RHCD17). It's described by the label as "turban psychedelia," which no doubt means they'll be generous servings of sitars and tablas on that one. As for the others: The track "Teddy's Sorrow" from Norway's Lucifer Was is the kind of thing you'd end with if you replaced Martin Barre with Tony Iommi on the 'Aqualung' album. Not bad, but the vocals weren't projected very well. 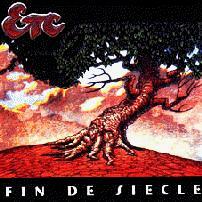 Etcetera (from Denmark) contributed "Anagrams Part I" from 'Fin de siecle' (RHCD14) and it started out really nicely with 90 seconds of atmospherics, and then kicked into a herky-jerky prog number with dual vocalists (one performing falsetto... not so bad, actually). The problem was the muddiness of the drum track; must've been recorded in a grain silo or something. Finally, Sweden's Valinors Tree offered their title track from 'Kingdom of Sadness' (RHCD13), a really well written song in the ever-growing tradition of Scandinavian symphonic progrock. I have a band lineup here, but all four members are credited with vocals, so I hope that means they truly share duties. Because the vocalist on this track has too much whine and voice-crackings in his singing, and put me right off. Well, that's the end of my education into the works of this excellent new label nestled into the fjords of the rugged Northlands. But I doubt it's *really* the end. I imagine Michael and his cohorts are actively discovering new artists from both close and far to sap our bank accounts further. I know it will succeed with me. You can visit Record Heaven at their web site.